Baidyanath Jyotirlinga temple, also known as Baba dham and Baidyanath dham is one of the twelve Jyotirlingas, the most sacred abodes of Shiva. 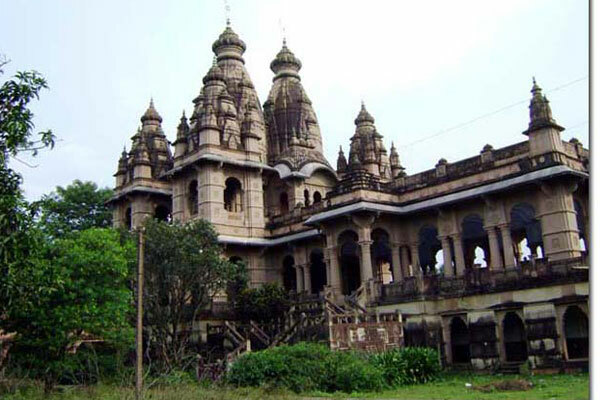 It is located in Deoghar in the Santhal Parganas division of the state of Jharkhand, India. It is a temple complex consisting of the main temple of Baba Baidyanath, where the Jyotirlinga is installed, and 21 other temples. According to Hindu beliefs, the demon king Ravana worshipped Shiva at the current site of the temple to get the boons that he later used to wreak havoc in the world. It is said that Basukinath temple is the court of Baba Bhole Nath. In Basukinath Dham, Shiv and parvati temple are just in-front of each other. In the evening when gates of both the temples are opened then the devotees are suggested to move away from in-front of the gates as there is a belief that Lord Shiva and Mata Parvati meet each other at this time. Basukinath is one of the most ancient temples. There are many other small temples of different Gods and Goddesses also in the same compound. 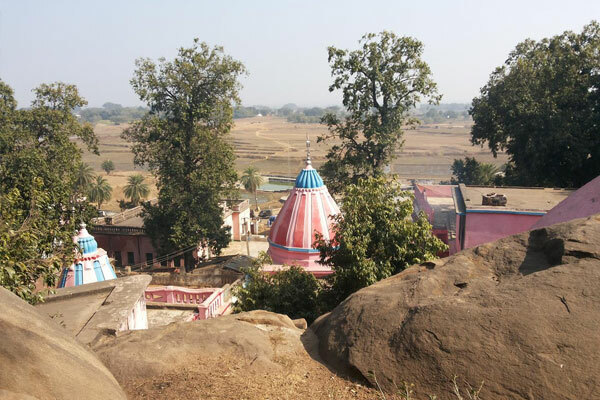 Trikuth Parvat - is a hill situated 13 km away from Deoghar, on the way to Dumka, with three main peaks from which it gets its name, Trikutachal. The hill is 1,350 feet (400 m) high. There is also a temple of Shiva here, known as the Trikutachal Mahadeva Temple, and an altar of the goddess of Trishuli. 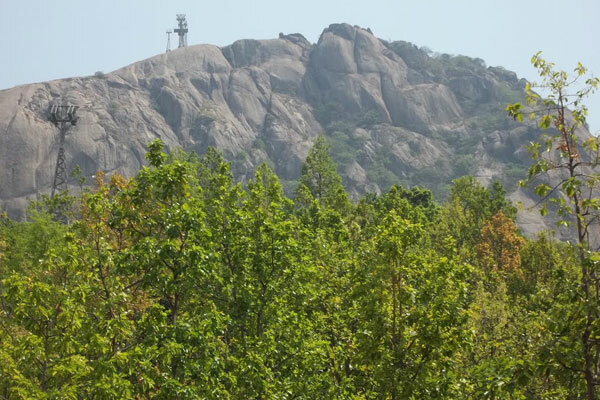 It is the site of Jharkhand^s first ropeway, built by Damodar Ropeway and Construction Company, Kolkata. Satsanga Ashram is a holy place for devotees of Thakur Anukulchandra, in the south-west of Deoghar, established by Anukul Chandra. 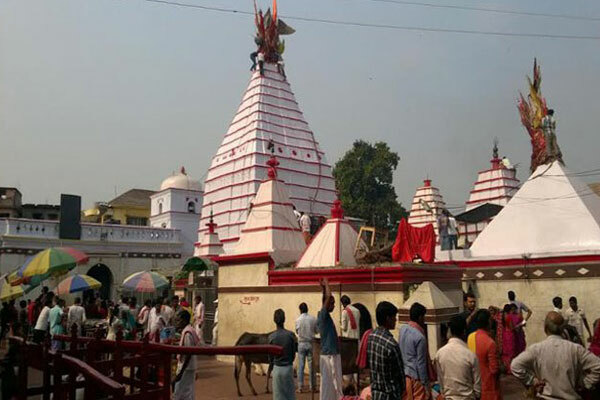 Naulakha Mandir is situated 1.5 km away from the Baba Baidyanath Temple. This temple is similar in appearance to the temple of Ramakrishna in Belur. Inside there are idols of Radha-Krishna. It is 146 feet high and its construction cost around Rs. 900,000 (9 lakhs) and hence it became known as the Naulakha Temple. 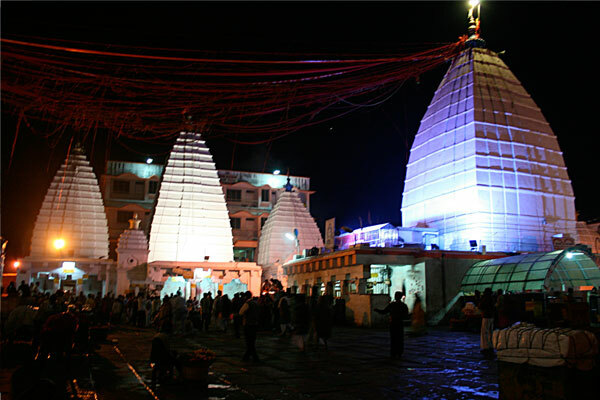 Tapovan is situated 10 km from Deoghar and has a temple of Shiva, called Taponath Mahadeva, which attracts pilgrims. A number of caves are found in this hill. In one of the caves, a Shiva lingam is installed. It is said that Sage Valmiki came here for penance and Sri Sri Balananda Brahmachari obtained Siddhi (success through penance) here. 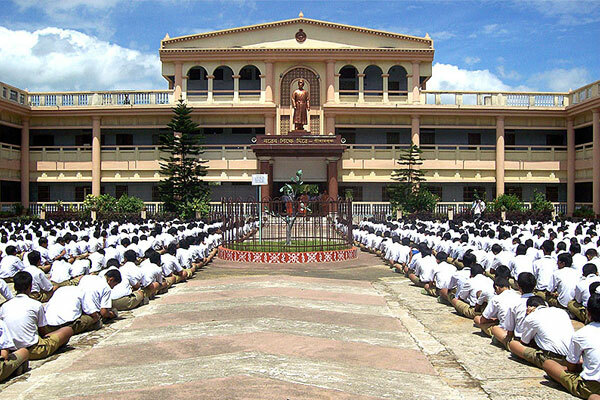 Rama Krishna Mission is a boarding school run by the monks of RK Mission. The campus is full of greenery and has 12 football fields. 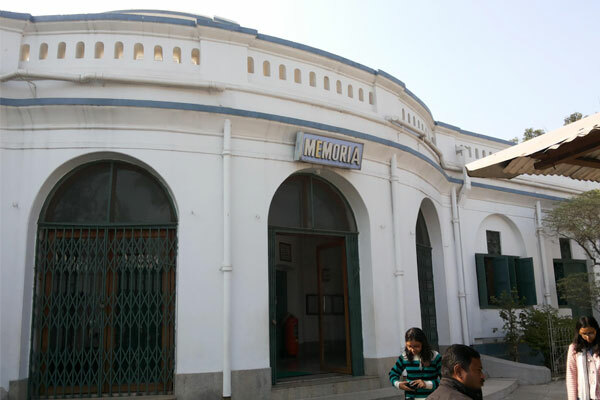 The Ramkrishna Mission Vidyapith, a branch of Ramkrishna Mission, Belur Math, Howrah district, was established in 1922 with the objective of imparting modern education combined with the values of ancient culture along the lines of the ancient Gurukula. Nandan Pahar is a small hill on the edge of the town which hosts a famous Nandi Temple and faces the famous Shiv temple. 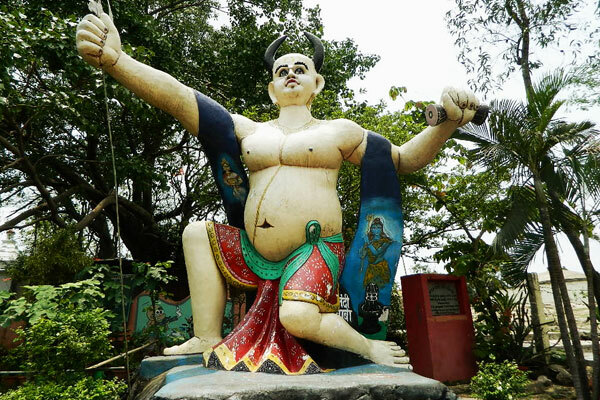 The Nandan pahar has a huge park for children, and has a ghost house, a boot house, a mirror house and a restaurant.